How Can I Get More Use From My Hot Tub During Summer? To get the wellness benefits of their hot tubs in the summer, many owners soak in the cooler morning hours or in the evening as the heat of the day dissipates. Mornings in a hot tub offer a way to start the day refreshed, relaxed and limber, while evenings provide those benefits and a way to sleep better. Yet when summer days really heat up, some people find it challenging to find a comfortable time to use their hot tub. 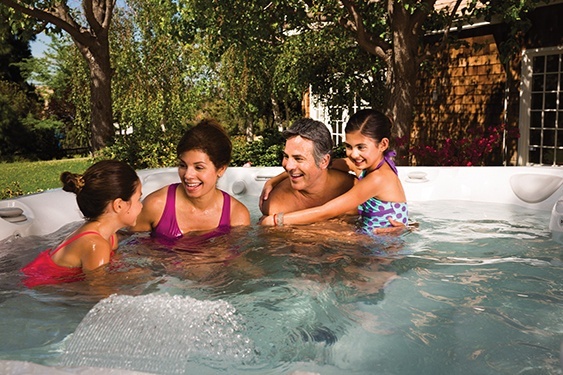 With CoolZoneTM you can enjoy the summer heat and spend quality family time in your hot tub. Can I Use My Hot Tub To Stay Cool? While many hot tub users prefer to keep their hot tub water hot year round, every summer, some users look for ways to cool down in their spas. Usually, that involves turning off the heater and letting the water slowly cool over time. Problem is, it can take a very long time for water temperature to drop on a hot day and just as long to warm back up. Now Caldera® Spas offers a way to cool down and get more use from your hot tub, even on a blistering summer day in Arizona. 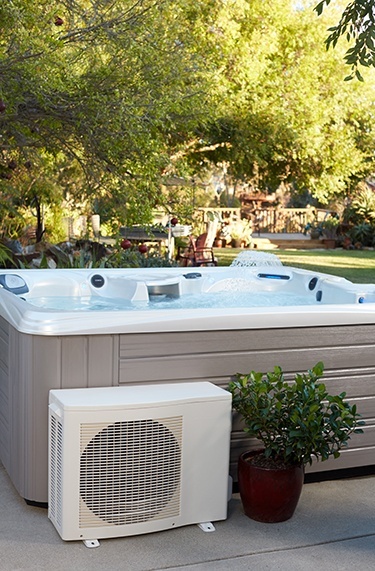 With the CoolZoneTM hot tub cooling system, your Caldera Spas hot tub can both cool and warm spa water, something not possible with most hot tubs. It works much like an air conditioner, cooling hot tub water to as low as 60 degrees. Of course, you don’t need to go that low for a cooling soak. Usually several degrees below the air temperature will be refreshing enough. When you’re ready to warm the water again, the system works in conjunction with your heater to efficiently raise water temperature in just a few hours. That means you can use your hot tub to cool down, wind down and to get a soothing massage any time of day, even during the dog days of summer. The CoolZone system is highly energy efficient and can even improve the energy use of your hot tub during normal operation. That’s because it can reduce the amount of time the hot tub water heater runs in order to keep the water hot. 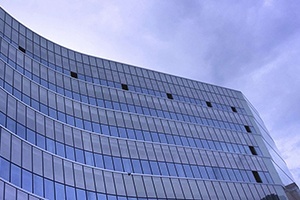 The increased energy efficiency can reduce your monthly operating costs over time and save you money. 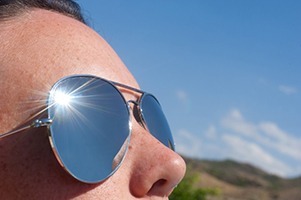 How Can CoolZone Benefit Me Therapeutically? CoolZone and cold water offers amazing therapeutic benefits. Because you can chill the water to as low as 60 degrees, you can take a cold soak that helps muscle recovery. Just as athletes use ice baths, the cold water reduces swelling caused by a workout. When you leave the water, the muscles warm back up, bringing oxygenated blood back in to help muscles recover. Later, the CoolZone system can raise the spa water temperature to provide the benefits of warm water immersion, removing toxins, bringing more oxygenated blood to tissues, and increasing flexibility. A hot tub can enhance communication between family members as they spend time together, free of distractions and devices. Quality family time is enhanced and it’s a great way to reconnect after a hectic day. The same is now true in summer months. 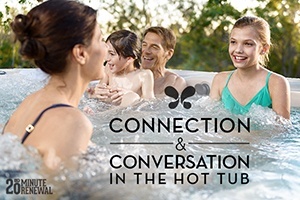 By creating a cool getaway during a hot summer day, your Caldera Spas hot tub can become a great place for a family to gather, cool off and relax. CoolZoneTM makes your hot tub the perfect idea for summer fun with friends and family. 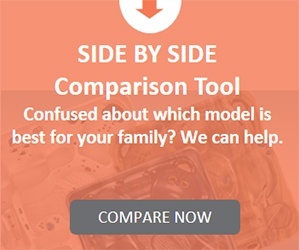 Does CoolZone Work With All Caldera Spa Models? CoolZone is compatible with the following Caldera Spas models: the Cantabria®, Geneva®, Niagara®, Makena®, Salina® and the Martinique®. Spas made before 2012 require an upgraded control box in order for CoolZone to be installed. Can I Install CoolZone myself? No. CoolZone must be installed by your dealer in conjunction with a licensed HVAC installer. 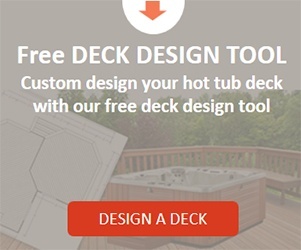 We know that many of our customers use their hot tubs for daily renewal throughout the year. What about you? Do you find that your hot tub use tapers off during summer or do you use it about the same amount of time? Would you use your hot tub more if it were a place to cool off on a hot day? Do you think you’d spend more time together with family if you had that option? Please leave a comment and tell us about how you use your hot tub when the weather warms up. Thank you! 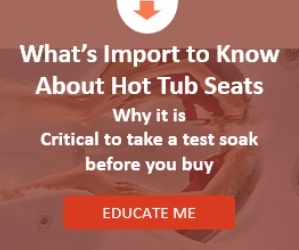 Interested in hot tub pricing information? 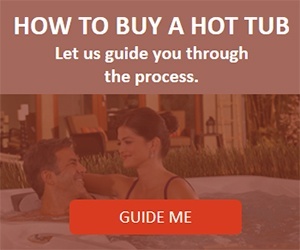 Contact your closest hot tub dealer to get an exact price for any Caldera model.